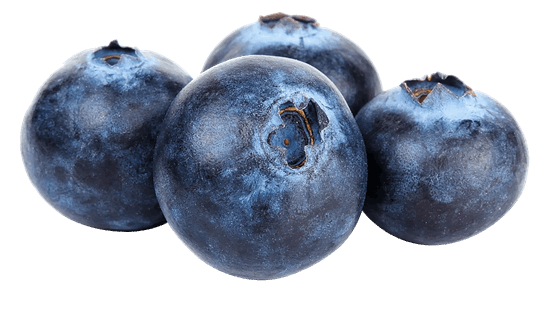 The production of blueberries (Vaccinium corymbosum) mainly takes place in the U.S., Canada, Chile, Argentina, Germany, Mexico and Poland. The right moment for harvesting blueberries can best be determined on the basis of the color of the berries, and optionally the sugar and acid content. The berries are harvested when (almost) ripe, because the quality quickly decreases after harvest. Berries meant for the fresh market should be harvested manually, because of their sensitivity. Damage can quickly lead to mold growth. If the temperature of the blueberries at the moment of harvest is very high, pre-cooling is necessary (cooling flow) to bring them to the optimum storage temperature as quickly as possible. This reduces water loss and extends shelf life. Blueberries can be stored relatively short. Temperature should be around freezing point and relative humidity should be as high as possible, to be able to store as long as possible. Blueberries can be stored about two weeks at -0.5 º C to 0 º C, with a relative humidity of 90-95% (pre-cooling is important!). Mixtures of soft-and full-mature ripe berries, which is common in late harvest, can be stored badly. A higher CO2 content (15-20%) prevents Botrytis and other fungi. Controlled Atmosphere (CA) storage (at 3% O2 and 10% CO2) extends shelf life up to 8 weeks. With Palliflex storage blueberries may even be stored up to 9 or 10 weeks. Blueberries are climacteric fruit and so they respond to ethylene. Nevertheless, it is not necessary to use ethylene removal, because blueberries are harvested at the moment they are already (nearly) ripe (after harvest the taste will not improve anymore). The optimum storage conditions for blueberries depend on the variety. Besides that, even the same variety may have different storage conditions per country / region. The advice below is a general advice for storing blueberries; it is scientifically recommended but not specific for a particular region or orchard. It is, therefore, only an indication and no rights can be derived from this information. Ask a local university of research institute for further advice.